Then Again, What Do I Know? : Vote Imagine! For Lucky’s Market South Boulder Bags for Change! Vote Imagine! 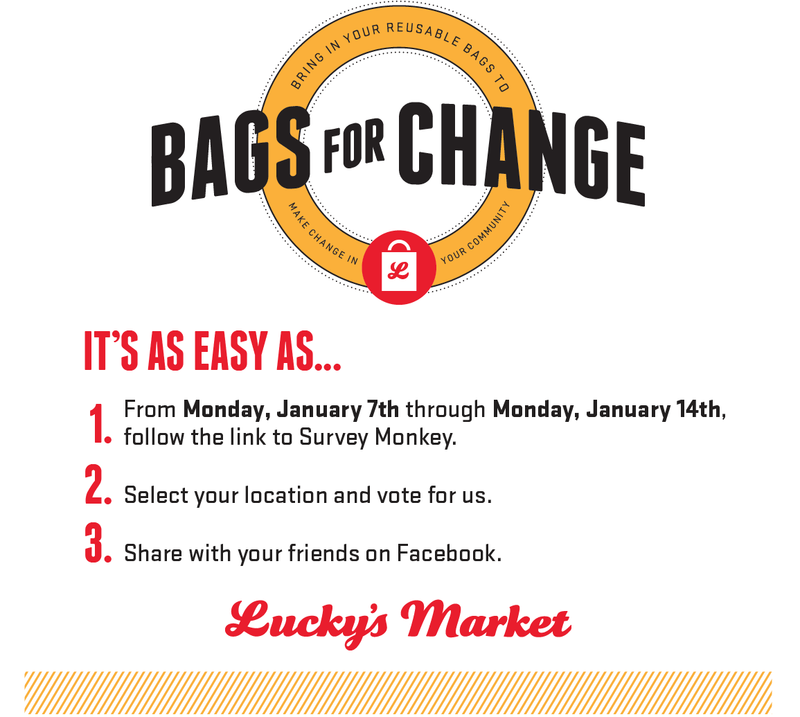 For Lucky’s Market South Boulder Bags for Change! Imagine! has been nominated for Lucky’s Market South Boulder Quarter 1 Bags for Change partnership, and you can help by voting for us! Here’s how it works: voting runs from January 7th through January 14th. The three organizations with the most votes at the end of the voting period will receive Lucky’s Bags for Change donations for the upcoming quarter. The vote will exist in the form of a SurveyMonkey survey. Be sure to choose "South Boulder" for the market you frequent when prompted. Here is the link to vote! During the voting period, please feel free to share the link above on your social media channels as much as you’d like. Increased visibility and awareness of the post is incredibly helpful in gathering votes, which in turn will help us create a world of opportunity for all abilities. I really appreciate to you for this informative blog. The exchange refuses to accept this most of the times and reason explained is not accepted by users. We can help you out in sending your bitcoin LBTC to Kraken account for trading. Concerned users can contact us at kraken Support number+1-888-396-0583.